We have aligned ourselves and partnered with industry bests in the furniture world and continue to seek out new alliances to bring you the very best furniture in value, affordability, high quality, and durability. Our dealership has many lines of commercial office furniture, healthcare furniture, hospitality furniture, institutional furniture, educational and classroom furniture, lab furniture, custom made furniture, outdoor furniture; the list goes on and on. Our services include but limited to sales, repair, installations, re-configurations, relocation services, consignment, consultation, space planning, etc. We are Designer and General Contractor friendly. If you have a project you need space planning help with contact us. B&B Furniture Concepts ownership has over 30 years of experience in this office furniture industry right here in Brevard County. In fact our sales and project management staff do too. All of that knowledge and experience has lead us to aligning with well recognized industry manufacturers with high quality, innovative, productive office solutions for the business world today whether you are a corporation, small business, home office executive, pastry chef, mechanic, or stay at home mom, we have a solution for you and your work space. We get it, you have a need, you have a budget, you have a style, you have likes and dislikes, and you have ideas. 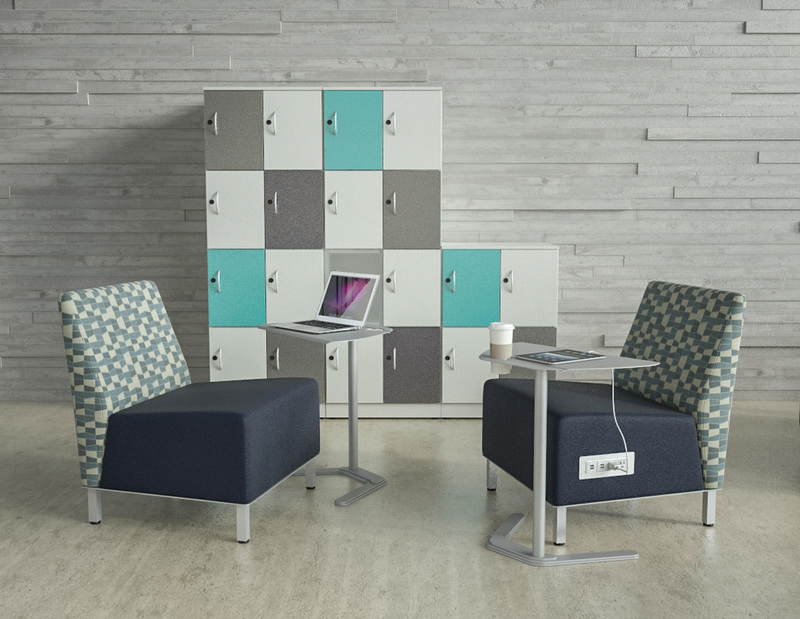 We will work with you and help you find that perfect office furniture solution. We want to earn your business. No project is too large or too small as we have planned and installed 250 plus workstation projects for government contractors, university classrooms, 500 plus seating cafeterias, fast food managers offices, auto dealerships, daycare rooms, hair salons, healthcare patient exam rooms, complete hospitals, and everything in between. We are very project friendly and work well with the design community and general contractors. We can come out to your site, take measurements and plan out placement of the furniture or workstations. We can provide you with drawings so you can see what your furniture will look like. We are not confined to just Brevard County. We are part of networks and representation that allows us to provide furniture and services to anyone anywhere. We have provided corporate clients with planned and installed furniture projects all over the US in Arlington VA, Dulles VA, Las Vegas, Dallas TX, Fort Worth TX, Columbia SC, Trenton NJ and all over the state of FL. If you have a project or furniture needs out of county or even out of state we can handle that for you. We buy furniture factory direct which saves our customers money. Big discounts, Warehouse & Outlet pricing and complete customer satisfaction is our goal serving you. The professional and friendly staff will help you find the right furniture solution for you or your company. Yes ! We can get that. Many of our partnerships happen because a customer has asked us if we can get a product, often we didn’t know about. Our management team will reach out to that manufacturer to try and form an alliance and bring that product line aboard to you saving you money. We are just a phone call away and would be happy to assist you in any way. If you are a manufacturer looking for a dealer to sell your products we would be happy to explore the opportunity. We are always looking for high quality furniture partners. Be sure to check out our Online Catalogs on the Products Page and Specials Page for great bargains. We look forward to earning your business, contact us TODAY !